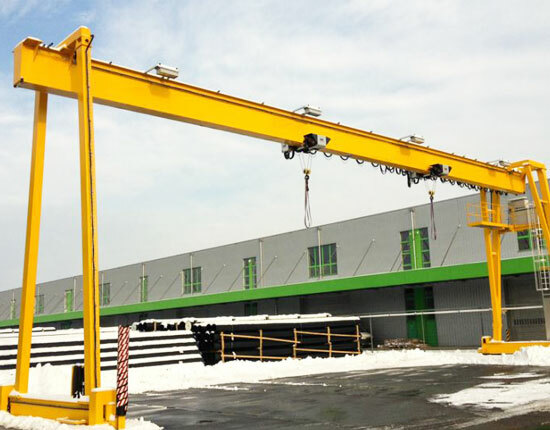 Electric gantry crane is one of the most commonly used gantry lifting equipment in a large variety of fields including manufacturing, railway, highway, construction, power station, shipyard and port. The powered gantry crane is usually equipped with electric wire rope hoist or chain hoist for heavy lifting applications. It can significantly improve efficiency for your workshop as well as ensure a safe operation. 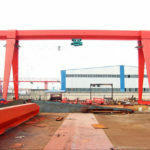 With regard to different lifting needs and working environments, we supply various types of electric gantry cranes, such as single girder gantry crane, double girder gantry crane, semi gantry crane, truss gantry crane and portable gantry crane. 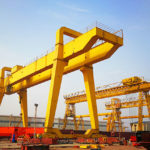 Which Type of Electric Gantry Crane Will Work for You? The electric gantry crane comes in multiple configurations and sizes to suit your individual applications. 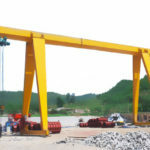 We are also capable of providing customized electric gantry crane for your particular needs. 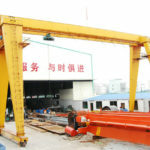 MH type single girder crane is a typical light duty gantry crane , usually equipped with CD or MD electric hoist. The ND type European electric hoist is also available, which features light dead weight, compact structure, small wheel pressure and nice appearance. The electric single girder gantry crane can effectively lift and move heavy goods up to 16 ton. 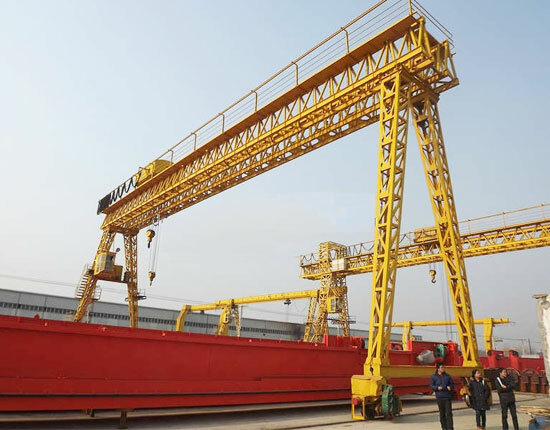 Besides, according to specific lifting requirements such as different types of materials to be handled, the motorized gantry crane can be designed into A frame crane and L-shaped gantry crane. MG type double girder gantry crane is built to perform heavier lifting jobs with capacity in a range of 5 ton to 200 ton. 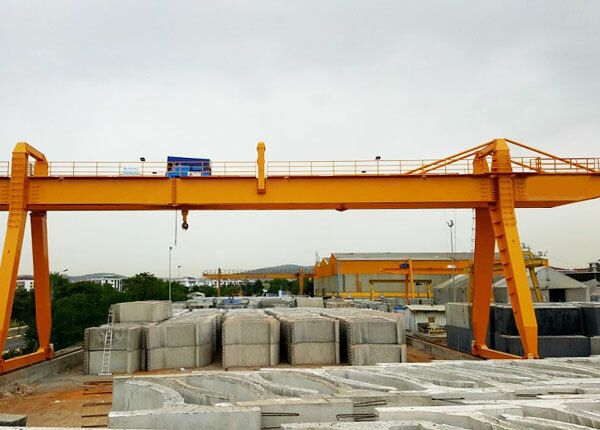 The double girder electric gantry crane can also reach a larger span, greater lifting height and higher working level in contrast to single girder design. This lifting system has many advantages, such as excellent performance, high safety, wide application and strong versatility. In addition to typical A frame double girder crane, we also supply U frame gantry crane which is preferred to handle large sized objects. Semi gantry crane is a variation of gantry lifting system with one leg running on a wall-mounted runway and the other leg running on the track of ground, making it half overhead crane and half gantry crane. 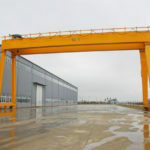 Therefore, the electric semi gantry crane can save more floor space. The electric overhead gantry crane usually falls in two configurations including single girder and double girder. Truss gantry crane is an ideal option for many outdoor working environments with strong winds or storms. 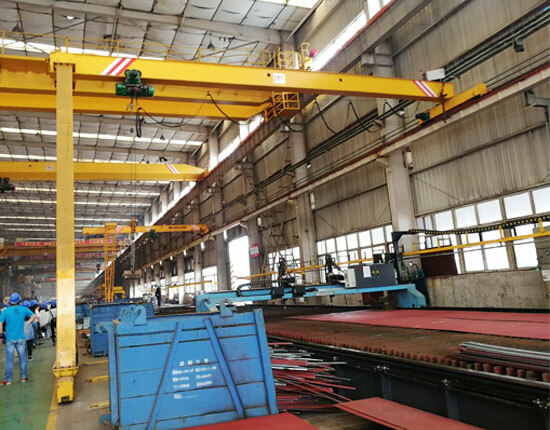 The truss type electric gantry crane has a rather complicated manufacturing process compared with common box type gantry crane. However, truss gantry crane has some exceptional features such as light dead weight, small windward area and simple structure. 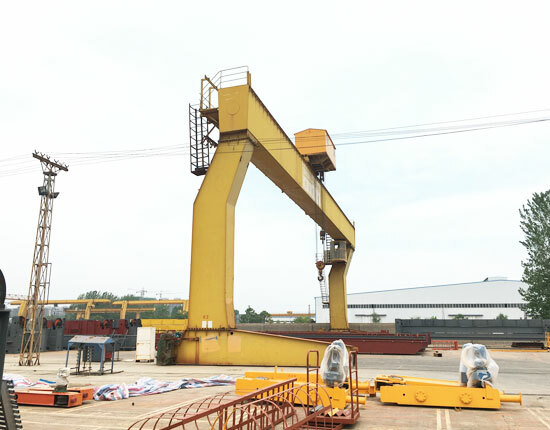 In addition, we supply many other types of electric gantry cranes, such as electric rubber tyred gantry crane, rail mounted gantry crane, cantilever gantry crane, adjustable gantry crane and fixed gantry crane. To know more, please contact our sales manager online. Electric gantry crane is capable of dealing with large and heavy duty lifting jobs and requires less manual operations. The electric hoists can greatly promote efficiency of your gantry crane. The powered gantry crane is a cost-efficient alternative to overhead crane as it does not require the construction of wall-mounted runway or engineered columns. It has excellent safety, easy transportation and high productivity. It can be customized for larger lifting needs or special applications. 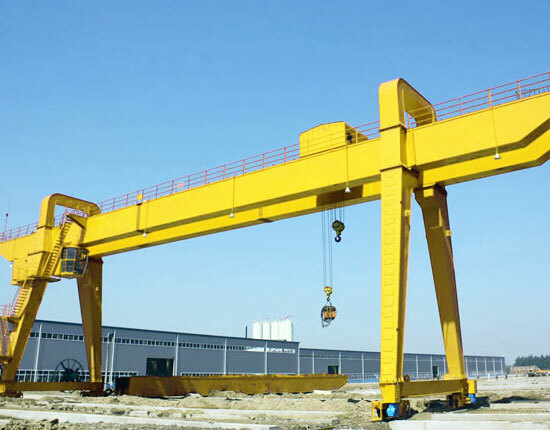 The gantry crane consists of three main mechanisms, including lifting mechanism, trolley running mechanism and crane running mechanism. The hoisting mechanism is one of the most fundamental and essential parts of gantry crane, used for raising and lowering heavy loads. When it comes to lifting mechanism design, several main parameters should be specified, including lifting capacity, work duty, lifting height and speed. At present, motor drive is widely adopted in many hoisting mechanisms, which provides simple operation, easy maintenance and reliable performance. The electric hoist for gantry crane mainly comes in two types, electric chain hoist and wire rope hoist. The wire rope hoist is usually the best option for most applications as it covers a wide range of lifting needs, from a couple of tons to 50 ton, 100 ton and even beyond. When it comes to small or light duty lifting applications such as workstation and shop, the electric chain hoist can be a cost-effective alternative. Electric gantry crane is composed of two main running mechanisms, trolley running mechanism and crane running mechanism. 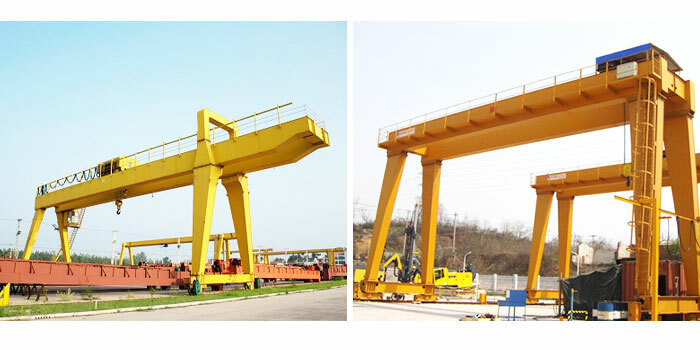 The trolley is mainly used to support hoisting mechanism and run horizontally along gantry crane girder. The crane running mechanism is used to drive the whole equipment to move, and it can be classified into track and trackless operations. For instance, rail mounted gantry crane travels along fixed rails at the bottom, whereas electric rubber tyred gantry crane or wheel mounted gantry crane can move freely within working areas without need of fixed rail path. According to the specific applications, you can choose the most suitable running mechanism. Why Choose Ellsen Electric Gantry Crane? 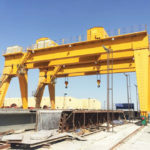 We have specialized in designing and manufacturing gantry crane for many years and are committed to providing economical lifting solutions for clients. Here are some reasons why you should choose Ellsen gantry crane. 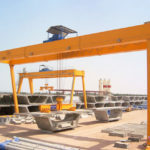 We supply a variety of electric gantry cranes which cover the bulk of lifting needs. Each product is designed and built in strict compliance with international and industrial standards, and our gantry crane has been approved by CE and ISO certification. We also build a sound quality control system and quality assurance system to ensure the quality of our products. We have a professional technical team to provide technical support for clients. 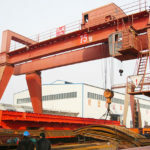 We also invest much in the equipment R&D and do our best to optimize the crane structure and quality. We provide a systematic gantry crane service encompassing pre-sale, sales and after-sale services. 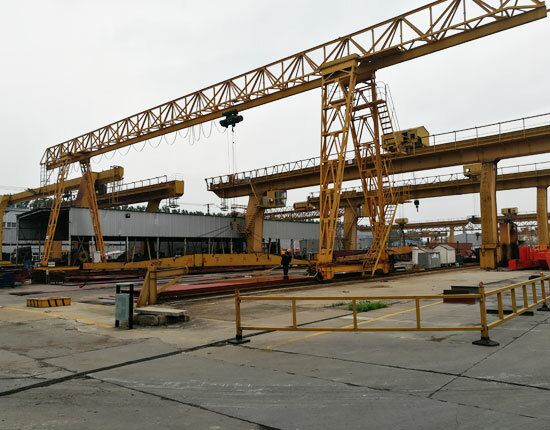 In addition to the gantry crane design and fabrication, we also supply the crane installation, inspection and maintenance services. We are responsible for the whole order process and promise to serve clients with heart and soul. Any question for gantry lifting equipment, you can contact our customer service online directly. 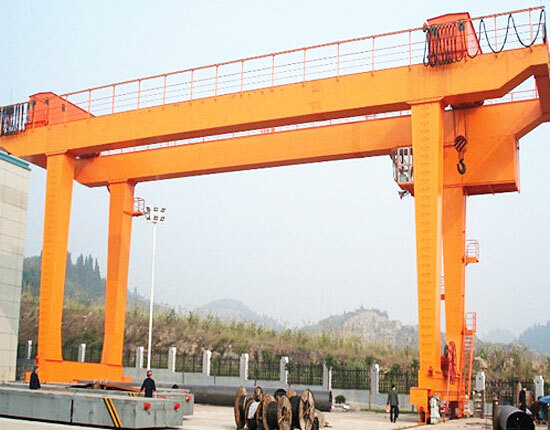 If you have any need for electric gantry crane, please contact us online now. We are very happy to work with you to build the best lifting solution.